Reduce your single use plastic consumption with this bright and cheerful reusable water bottle. Reduce single use plastic consumption with this Dive Academy reusable water bottle. 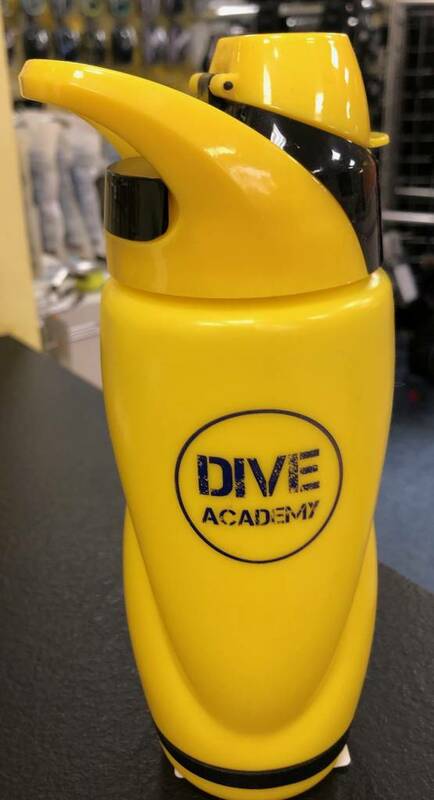 Designed to stand out from the crowd in a cheerful yellow colour, this bottle is ideal for everyone - particularly Dive Academy students and members.